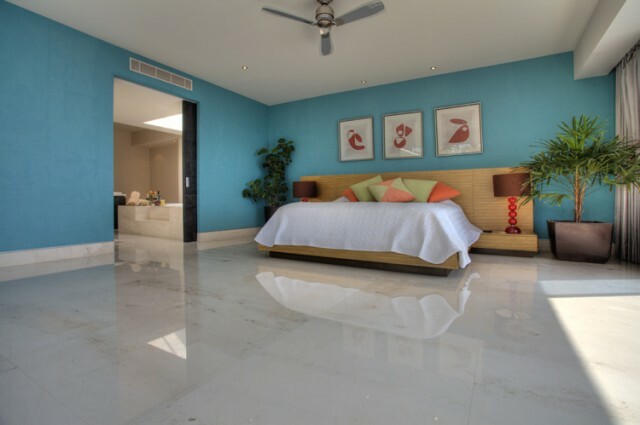 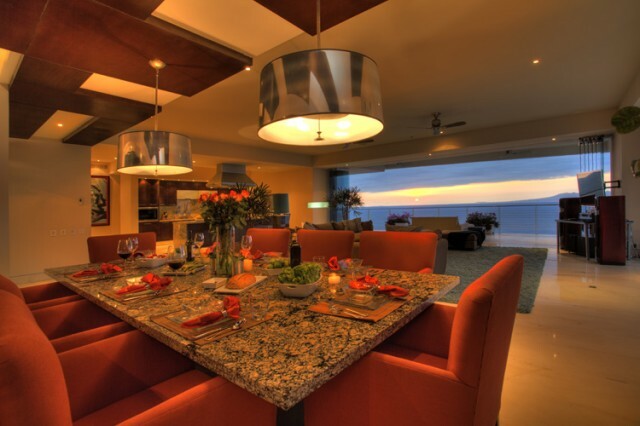 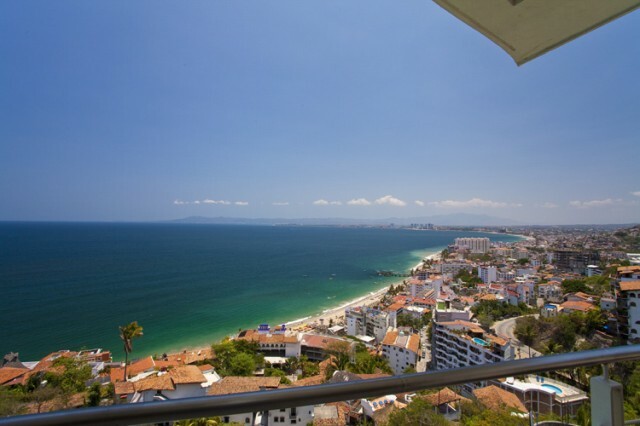 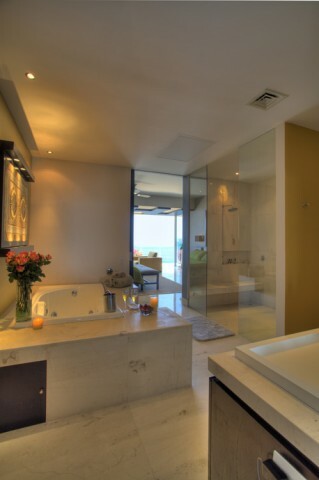 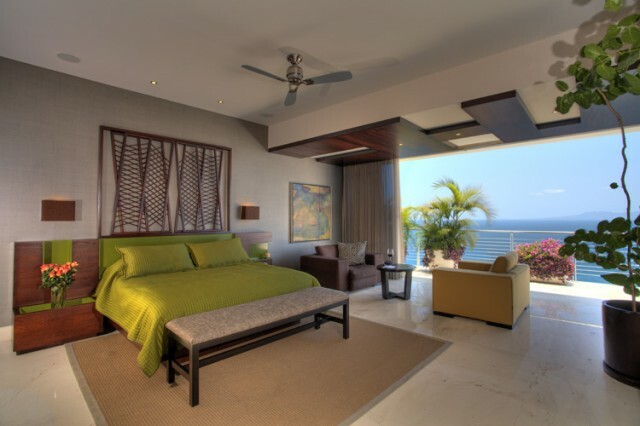 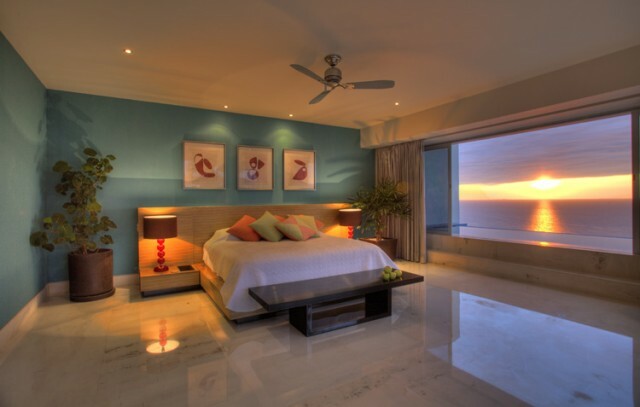 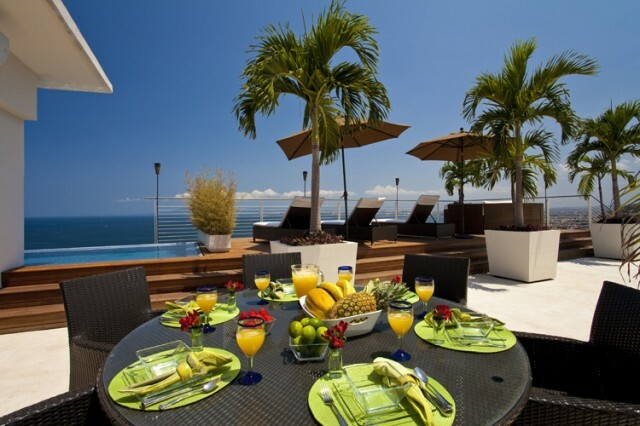 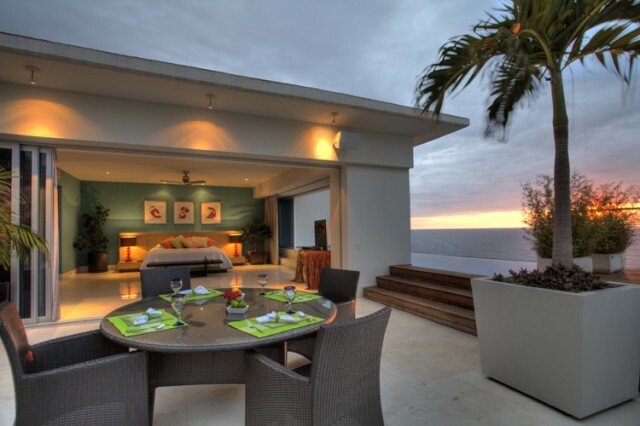 ALSO AVAILABLE AS A 2 or 3 BEDROOM, PLEASE INQUIRE..
Puerto Vallarta Villas is proud to present Paramount Bay Penthouse 8-9. 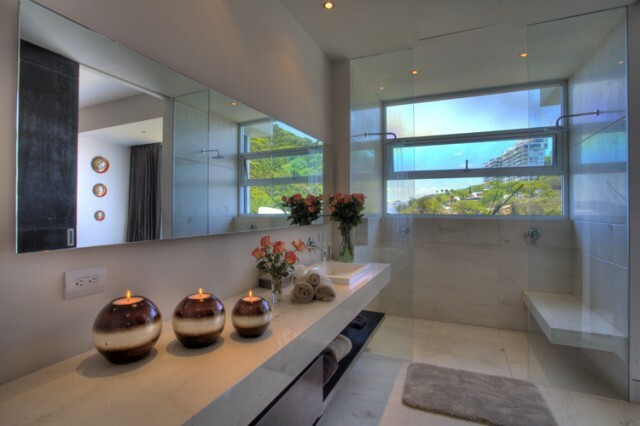 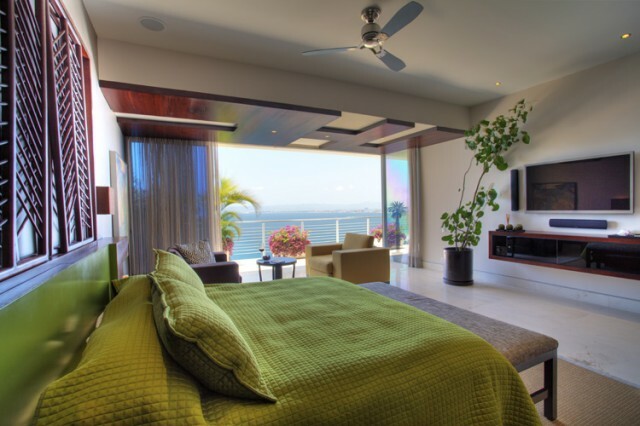 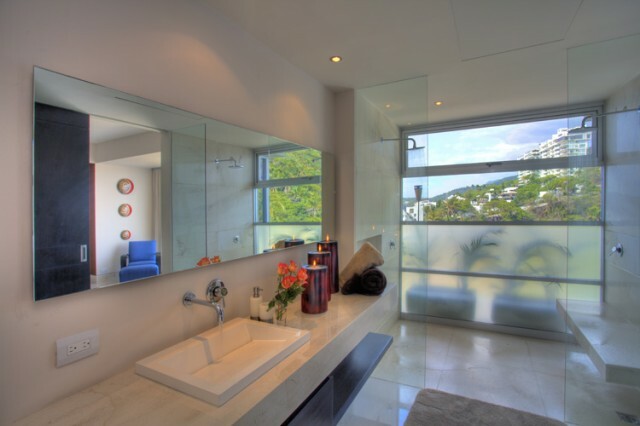 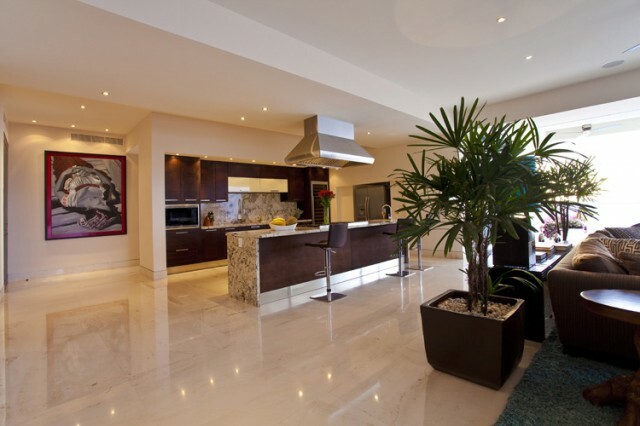 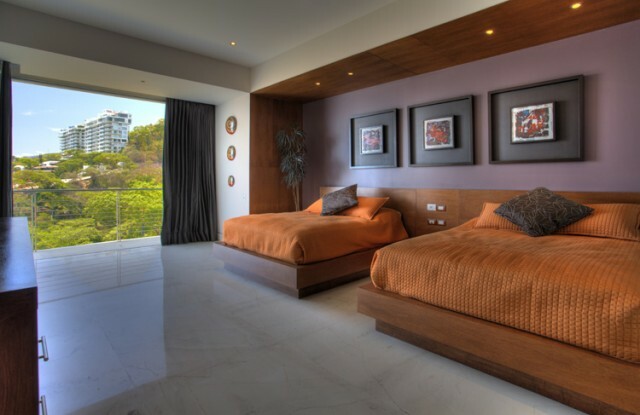 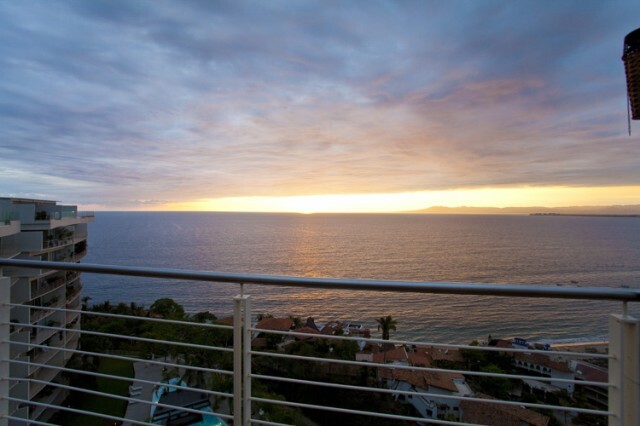 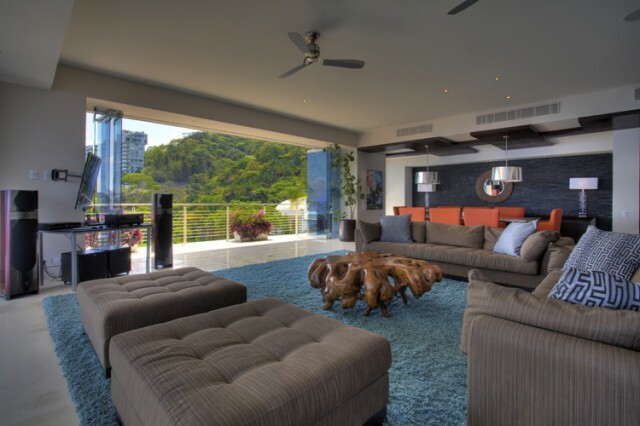 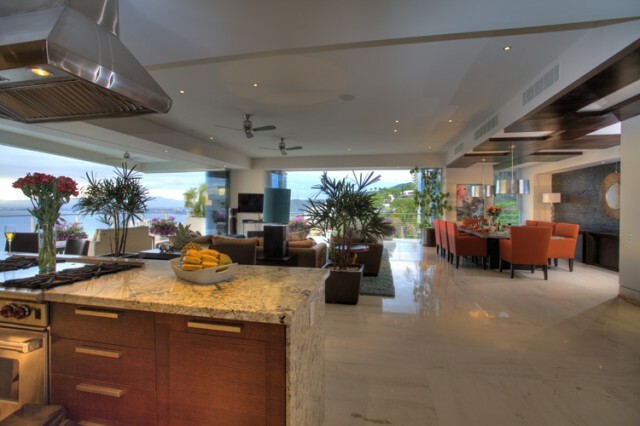 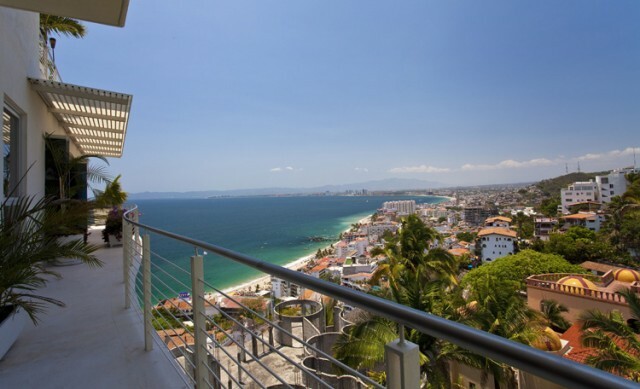 This newly constructed 4 bedroom penthouse has unparalleled views of the Bay of Banderas, Sierra Madre Mountains, jungle and Puerto Vallarta City lights. 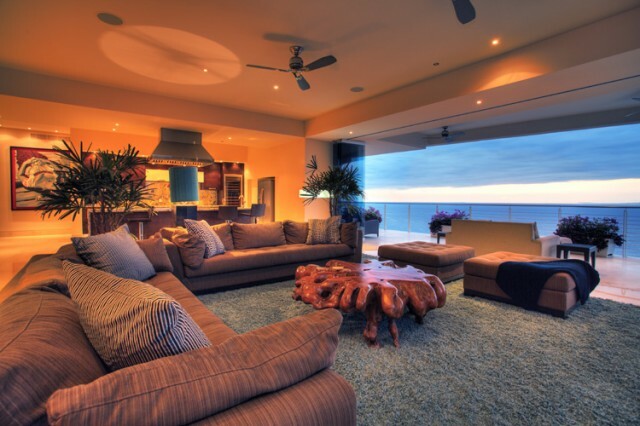 This magnificent over 11,000 sq. 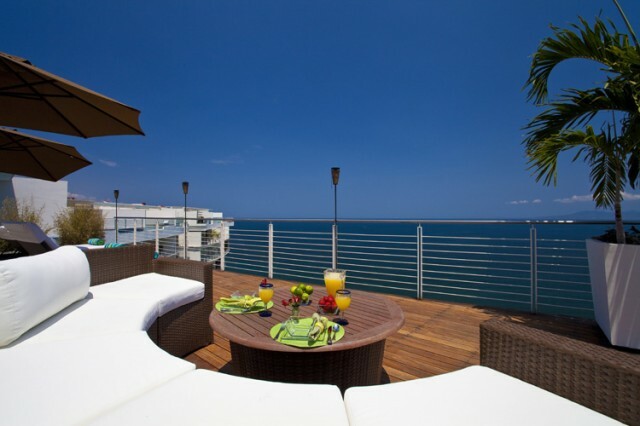 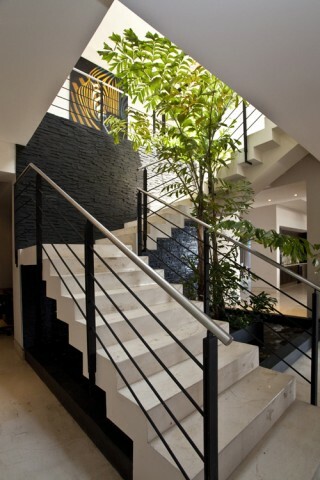 ft. two levels unit has large wrap-around balconies to accommodate all your entertaining. 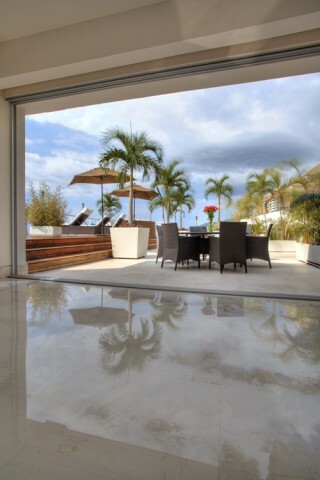 From a private “tete a tete” to a full blown out cocktail reception; with floor to ceiling glass panels for that ‘indoor/outdoor’ experience, a private pool where you can relax and enjoy yourself in the privacy of your home with a glass of wine and have the ocean as your background music. 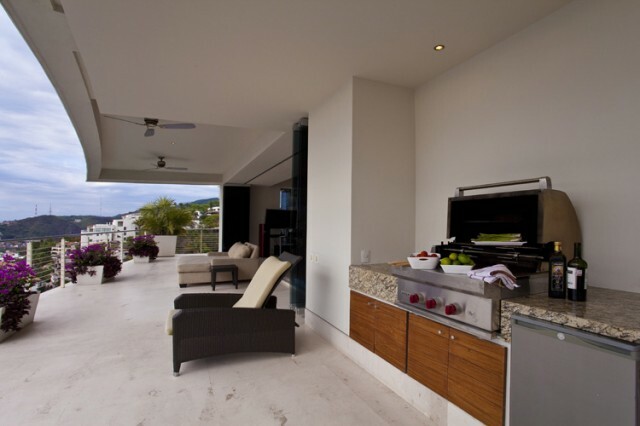 A barbeque area on the main terrace and a full outdoor kitchen on the top terrace are also available for those BBQ lovers and dining under the stars. 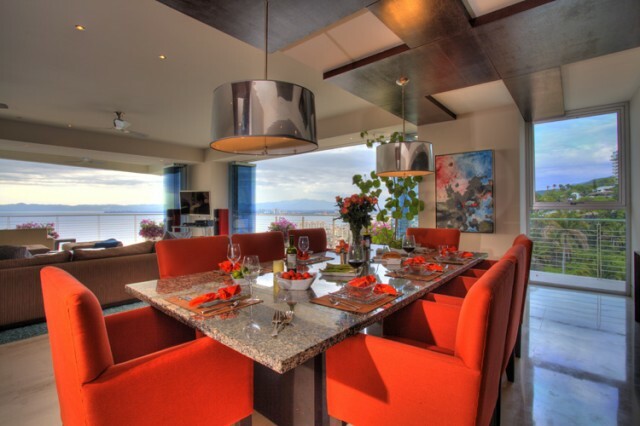 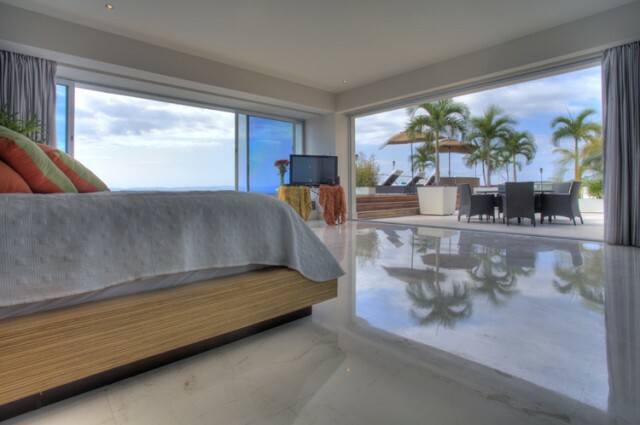 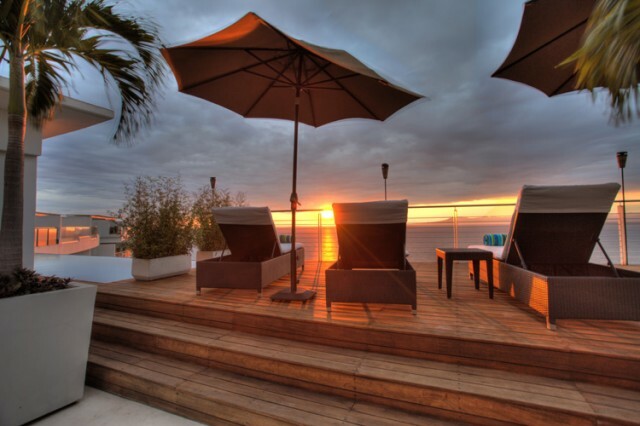 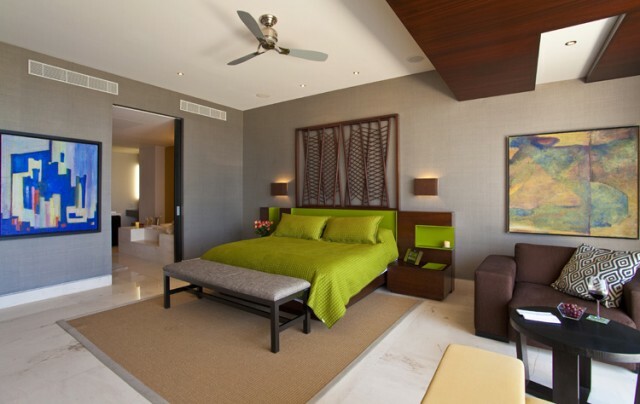 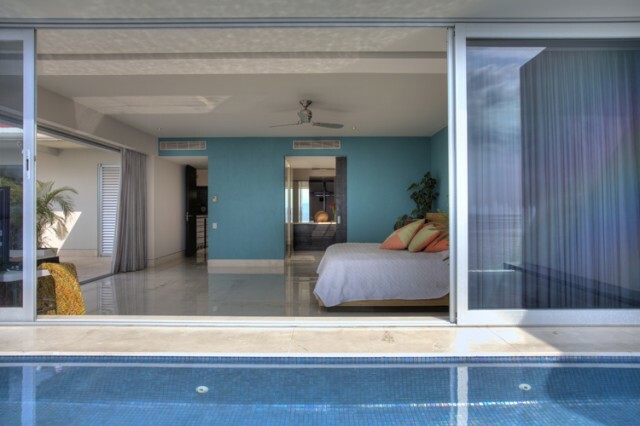 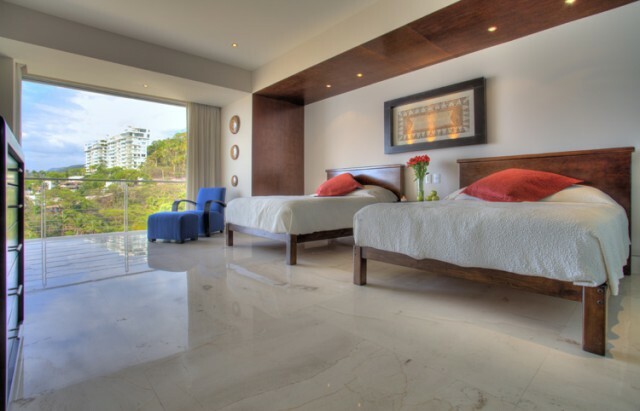 The Penthouse comes with an indoor tandem assigned parking space and full access to the public areas including a fantastic huge heated infinity pool overlooking the Bay of Banderas and City; a reception lobby, 24/7 security and a full state of the art GYM. 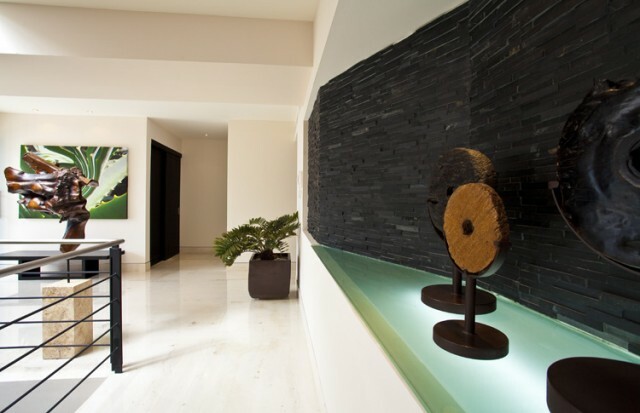 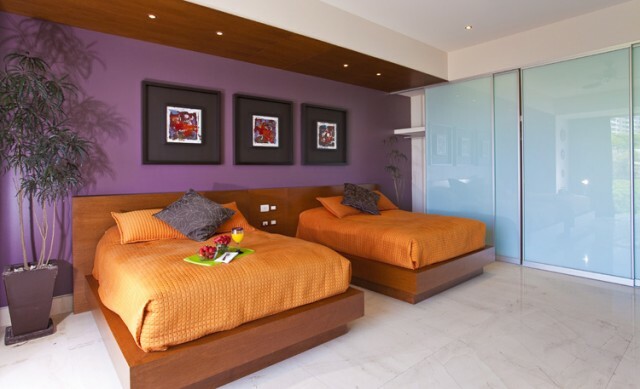 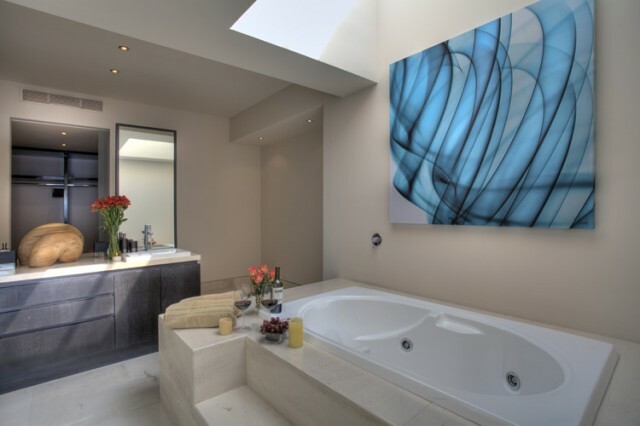 Air conditioning is provided via a central AC system with separate controls in all the rooms. 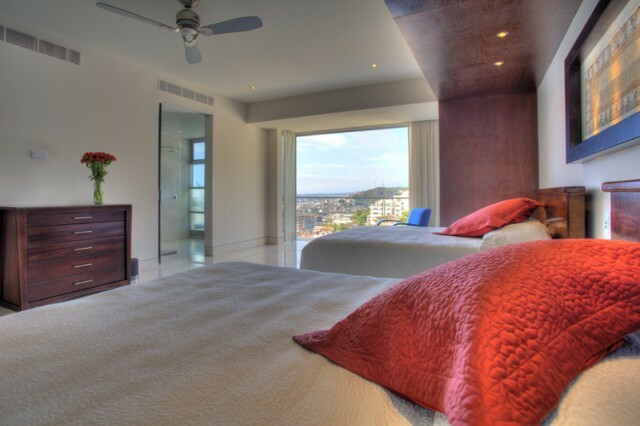 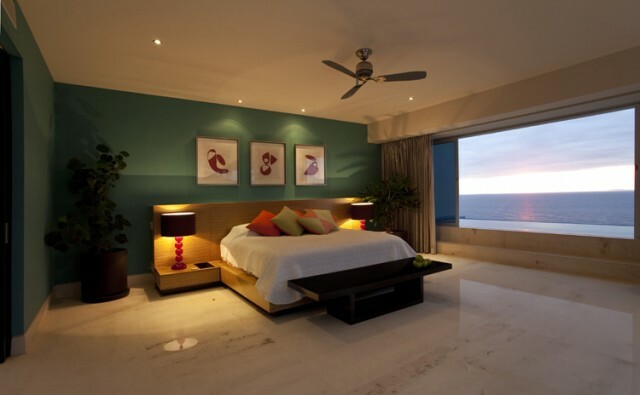 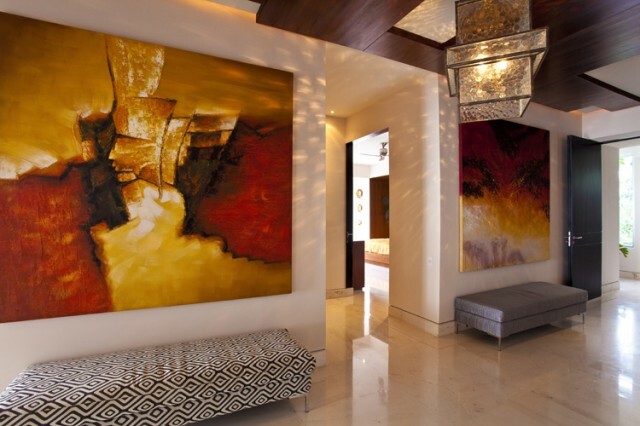 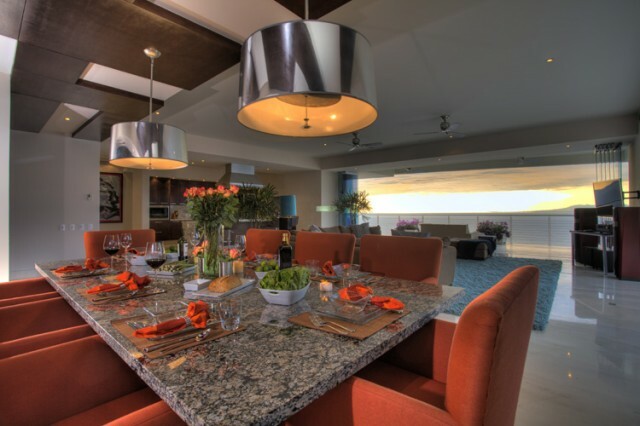 By special arrangement PB Penthouse 8-9 has been made available to select qualified guests. 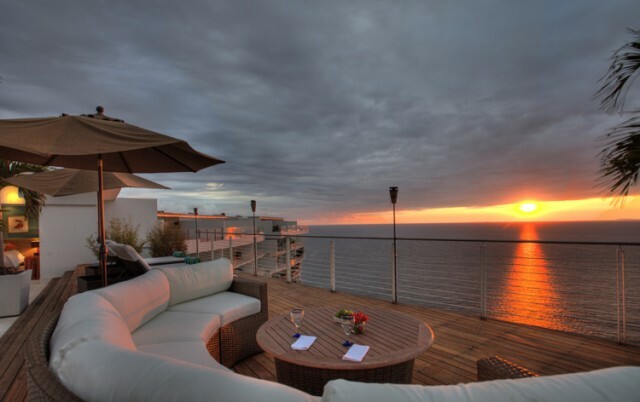 The Penthouse is privately owned; student groups, bachelor parties, packaging general public groups, or the like are not accepted. 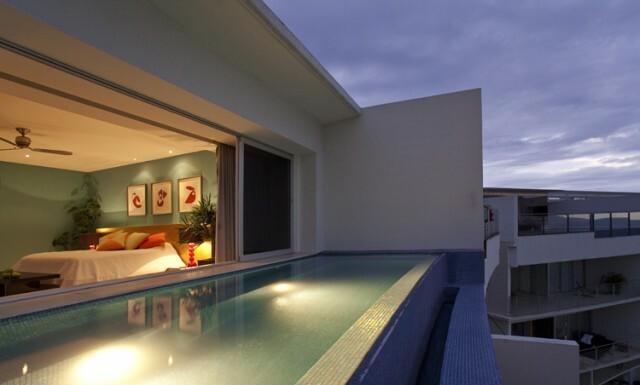 No pets allowed, adults preferred. 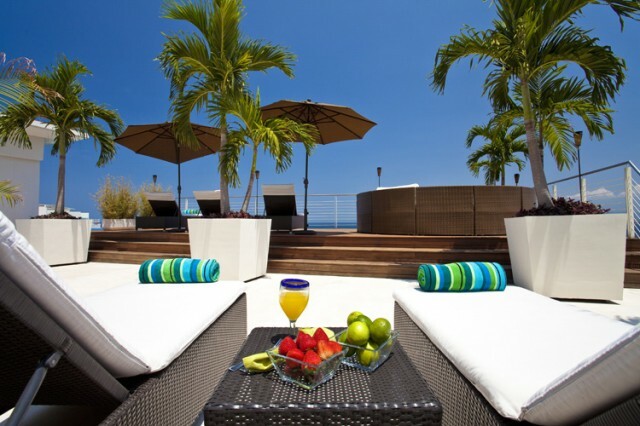 Puerto Vallarta Villas offers a Complimentary concierge service to assist you with anything from a simple flower delivery, private tours, sightseeing, in-house spa services to a private yacht for fishing or jet charter.